HÀ NỘI — Five Vietnamese women masters have entered the top 10 of the Zone 3.3 Chess Championships 2017 in the women’s class which is ongoing in Tagatay, the Philippines. 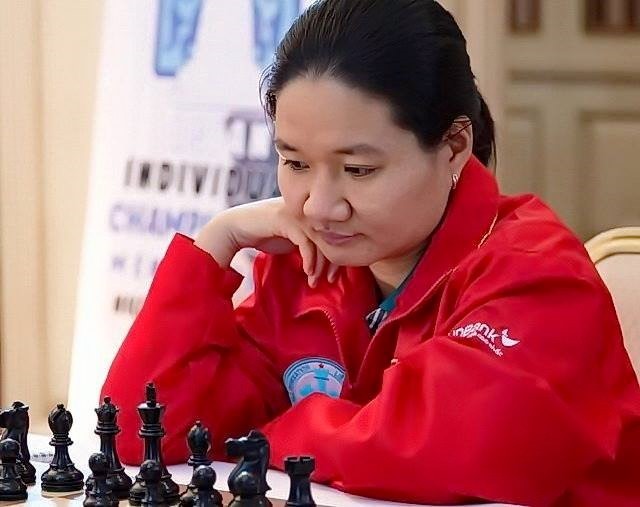 Women Grandmaster (WGM) Hoàng Thị Bảo Trâm is at No 1 position after her third win in a row in the third round yesterday, beating Women’s International Master (WIM) Janelle Mae Frayna of the Philippines. Trâm will next play her teammate WGM Nguyễn Thị Thanh An who is in the second position today. Three other Vietnamese masters are fourth-placed Lương Phương Hạnh, WGM Lê Thanh Tú at the fifth spot and WIM Võ Thị Kim Phụng at the sixth place. In the open category, GM Nguyễn Huỳnh Minh Huy of Việt Nam has secured the second place. He beat Filipino GM Rogelio Barcenilla yesterday and scored 2.5 points. His teammates Nguyễn Văn Huy is at the seventh spot and tournament’s No 1 seed Nguyễn Ngọc Trường Sơn is placed 10th.